The GardenFrame™ was designed to allow you to customize the size of your garden to fit your space, whether it is an outdoor patio, garden or balcony. It is especially practical for urban spaces. 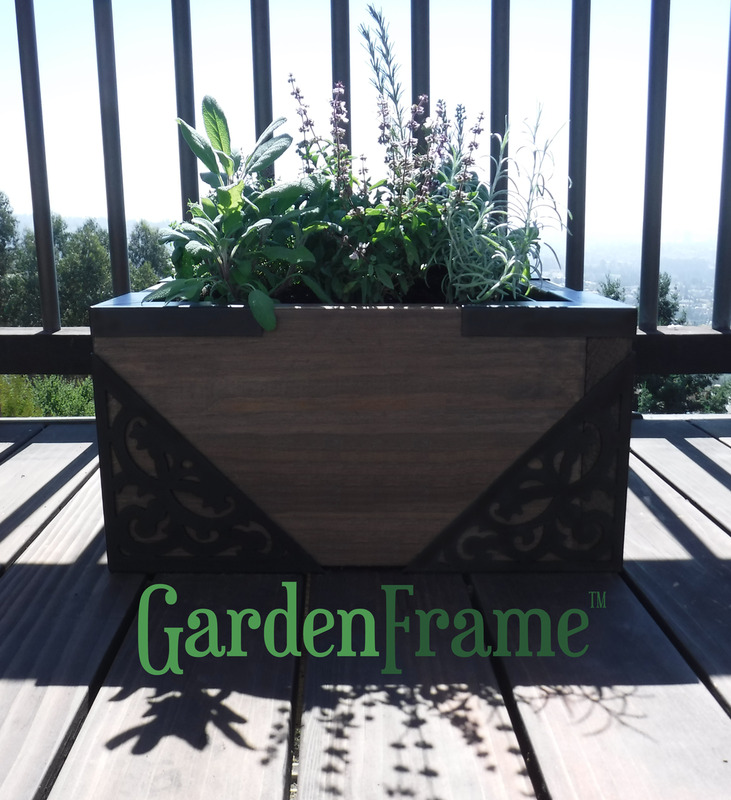 The standard wood that is compatible with the GardenFrame™ is available at your local hardware store. You can choose virtually any dimensions for your garden creation, and the height can range from 10 inches to 2 feet, using additional recommended hardware from your local hardware store. No special tools or equipment is needed to assemble a beautiful raised garden. 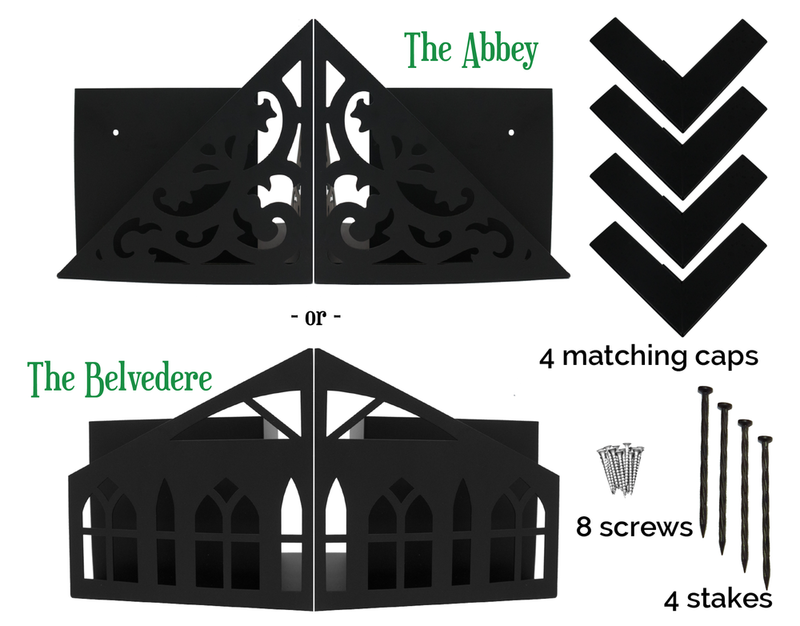 With the GardenFrame™, you can start your garden in just a few simple steps. We were inspired to design an elegant and functional raised garden system that is easy for everyone to build, and serves as the centerpiece to any outdoor space. Our team worked tirelessly to plan, test, and refine the GardenFrame™ until we cultivated the perfect design. We believe that a great product should be made to last. The highest quality material and processes were selected to manufacture the GardenFrame™. The base material is made of cold rolled steel, which is the same material that is used to make automobile parts and is extremely durable and weather resistant. 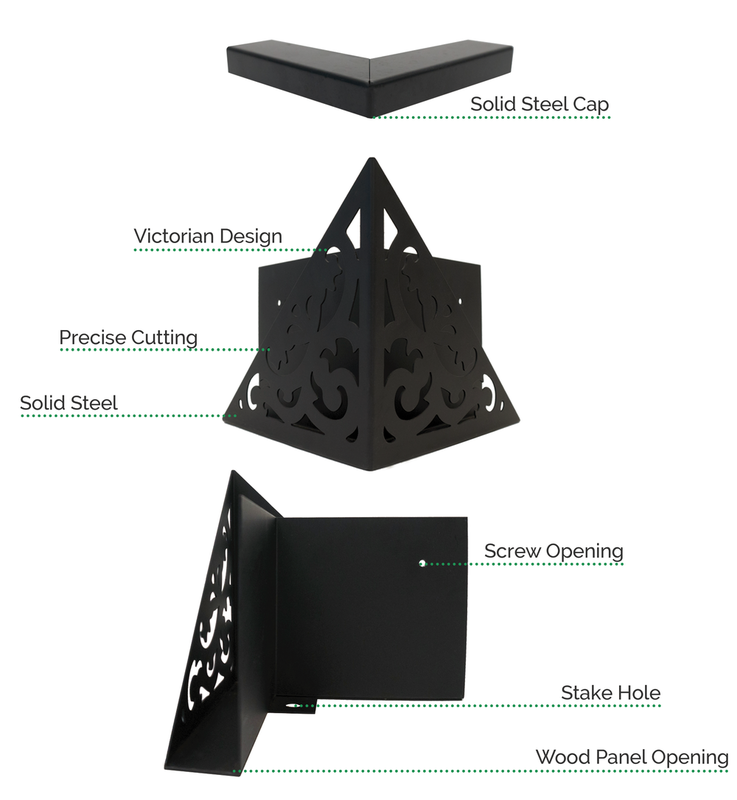 Each original pattern is precisely cut to specification. 1) What kind of wood should I use to build a GardenFrame™ raised garden? 2) What size wood should I use to build a GardenFrame™ raised garden? The most common sizes to use are 2”x10” or 2”x12”. 3) Where can I buy the wood to build a GardenFrame™ raised garden? Untreated and pressure treated wood can be purchased from a local hardware store such as Home Depot and Lowe’s. However, other wood such as Cedar, Redwood, and Cypress can be purchased from a lumber store. We suggest that you call your local lumber store to be sure that they have the wood in stock, or can order it for you. 4) Have additional questions? Just send us a message and we will get back to you within 24 - 48 hrs.